This VSP Rabbit and Rodent Dental Kit simplifies the process of grinding over-grown teeth in rabbits and rodents, which are becoming increasingly popular pets. The kit includes a speculum and two x-long dental bits. 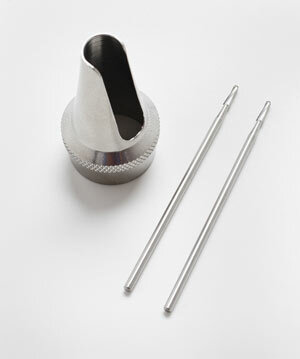 The speculum attaches to a lighted otoscope and offers excellent exposure during oral cavity examinations or to keep the mouth open during surgery.